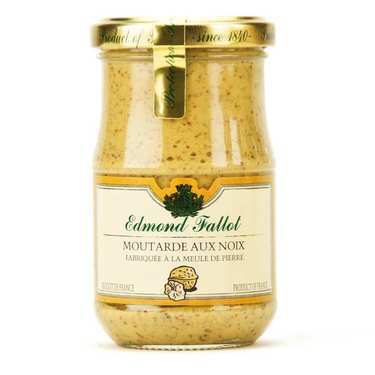 Traditional pork rillette from Le Mans. Melting and yummy. This is a perfect option for your farmhouse bread toasts. A pure terroir product ! 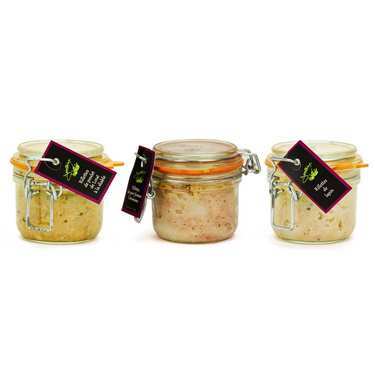 These rillettes from Le Mans are produced by the chef Jean-Marie Fontaine, using pork meat bred by the pork farmer Cénomans. 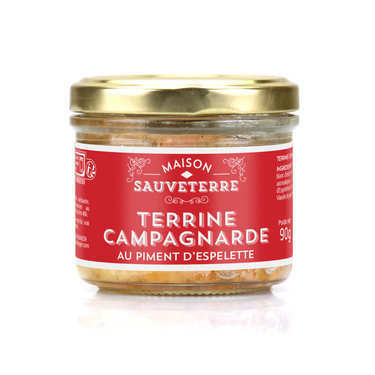 Only meat of the highest quality is used, and it is this quality combined with the expertise of Jean-Marie Fontaine that ensures that the rillettes are so sensational. To enjoy these rillettes at their best, place in the refrigerator for ten minutes before serving. 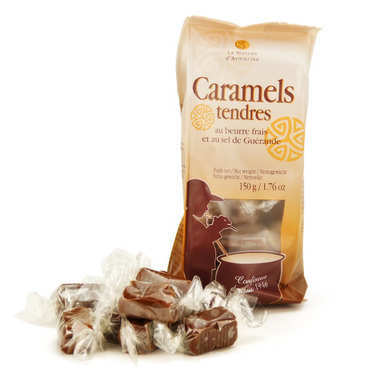 Their flavours will be best if the rillettes are served not too cold. 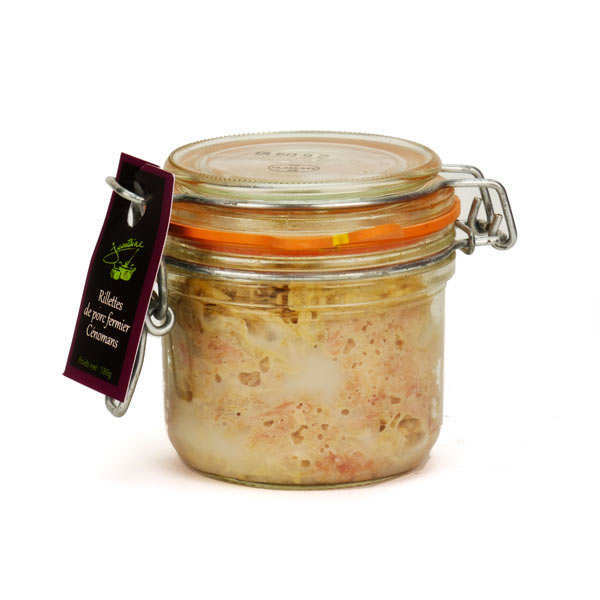 In the Sarthe region of France, rillettes are eaten spread on a slice of toasted bread. Perfect as an aperitif. Pork meat from Sarthe, (117g for 100g of final produc), salt, grey salt from Guerande.